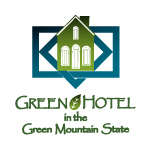 he Blue Gentian Lodge is actively participating with the Vermont Small Business Development Center and the Agency of Natural Resources in a statewide 'Green' environmental program designed to help keep Vermont pristine and 'GREEN'. Working with our guests, we believe it is our responsibility to create the least amount of pollution possible. We consider this responsibility a 'life-style' for ourselves as well as for our business. Recycling/reuse is something we choose to think about every day. We are always striving to find yet another way to help Mother Nature. ​Here are ways you can help during your stay. Each guest room has a designated Recycling Bin. Please place the following clean items in it. ​All Food Scraps are composted, bring to kitchen please.